Matilda Terrace is located just two blocks from the boardwalk. 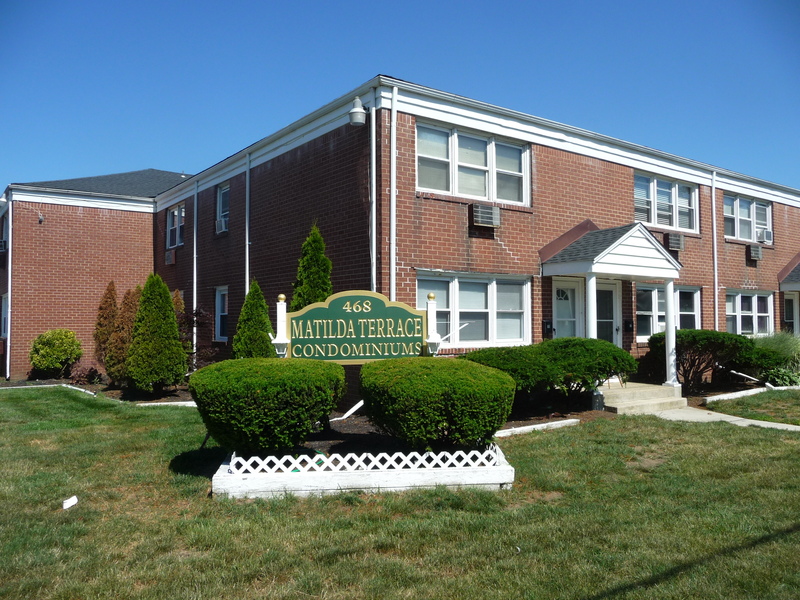 Matilda Terrace is a community of 20 apartment style one bedroom condominiums located Second Avenue in Long Branch. Built in the mid-1960's, tax records indicate that the first floor apartments have approximately 720 square feet and the second floor apartments have approximately 684 square feet. The location is very convenient, with the Long Branch boardwalk two blocks away, Monmouth Medical Center less than a half mile away and the Long Branch train station just over a half mile from the complex.